The Powerbait Ice Swordtail features a bug shape that imitates natural fish prey and is designed for a horizontal presentation. 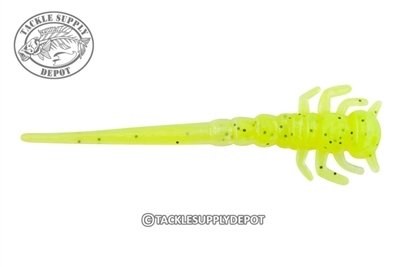 The thin tapered tail design allows for high action with minimal jig movement as well as subtle flicking and undulating action. Loaded with the same irresistible scent and flavor which took scientists over 25 years to perfect the Berkley Powerbait Ice line of plastics is the go to for many hard water anglers.